We are proud to service our neighbor city of Minneapolis, MN. 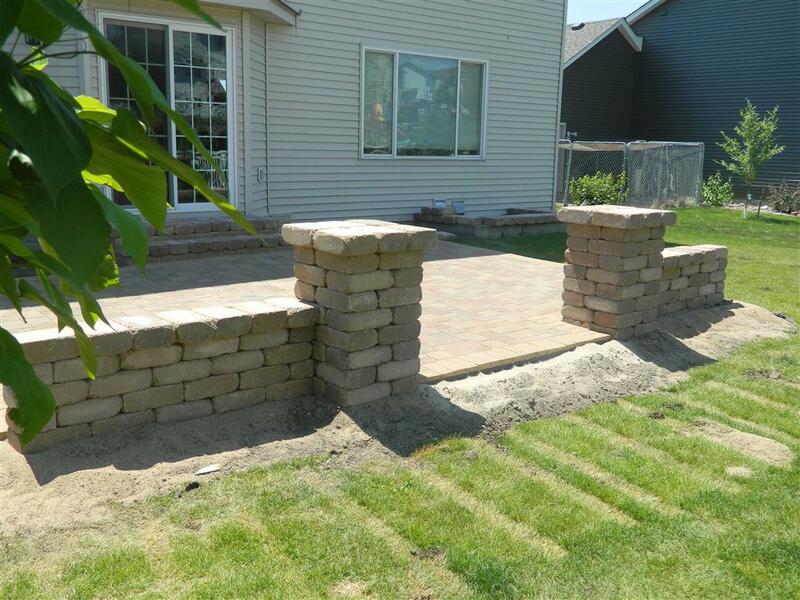 Our hardscape construction and landscaping projects in Minneapolis include paver patios, paver driveways, paver walkways, outdoor kitchens, fire features, permeable pavers and retaining walls. Please take a look below for some small articles on a few projects from Minneapolis. Please see our Gallery for more inspiration! The home that sat on this lot was built 100 years ago and when the current owners wanted to add on, they received an education in permeable thresholds. The lot was not large enough to accomodate the additions they had in store. 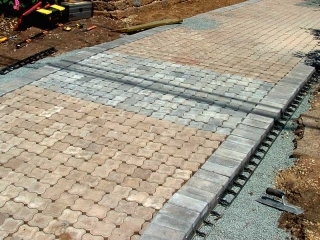 Permeable paver technology was just coming into the picture and in fact, this is the 2nd permeable paver driveway to be installed in the state of Minnesota. Working with the local government, we were able to create this 1300 square foot driveway that would reduce the “impermeable threshold” for the lot enough to allow the planned additions. We employed the expertise of a geo-tech engineer and this project is designed to handle an inch of rain an hour. 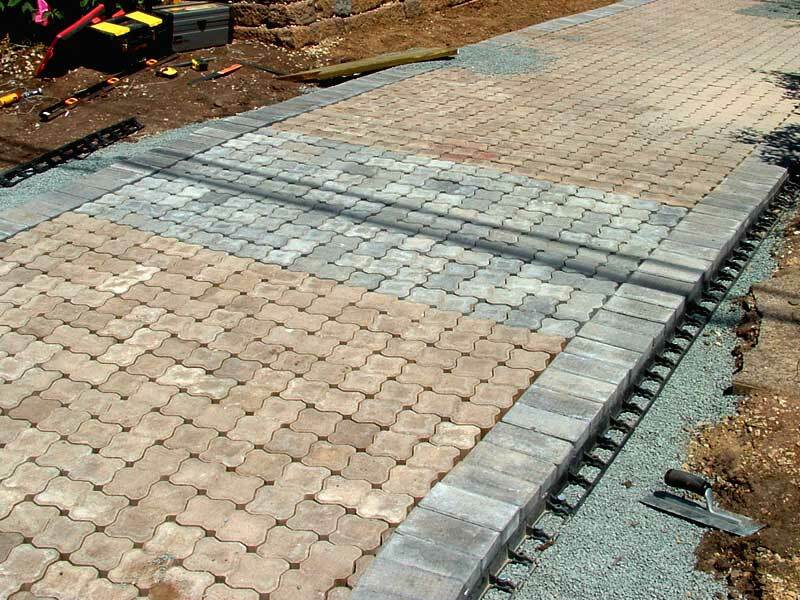 We have a lot of interest in permeable paver technology and if we can help you plan and install a permeable project, please let us know. The stamped concrete patio was installed by a friend of mine who referred the client to me to install the walls and columns. 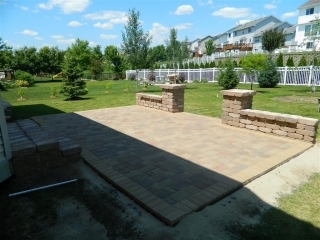 We do some flatwork, but I prefer to sub contract most concrete patio work. 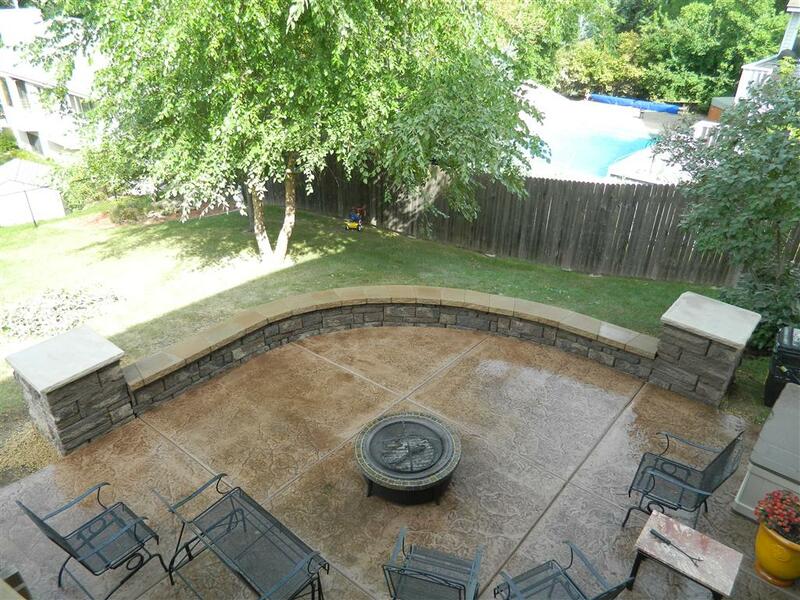 I installed this patio without doing any major excavation. The client had a green thumb wanted to berm some dirt up to the height of the patio (8-10″ higher than grass) and place plants and boulders to accent.